Hands up, I'm no scientist nor a mathematician. 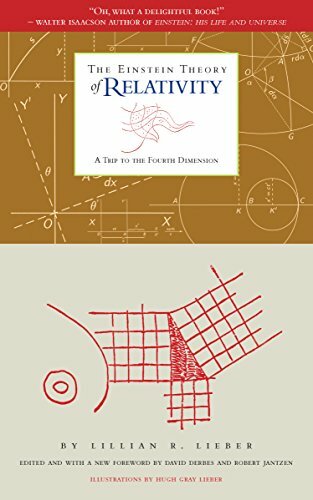 I've done my time with Blavatsky and the rest, learning about the fourth dimension from an esoteric angle (which now looks suspiciously like the Physics perspective too, just with one or two words changed). But I've not studied the actual science behind all of this. All those formulas and strange squiggles will be beyond my ken, until someone digs up the Rosetta Stone that translates the language into one I can understand. But it seems that isn't necessary. I've known about the fourth dimension all along. I view the whole world through it. I'm a historian and the fourth dimension is time. 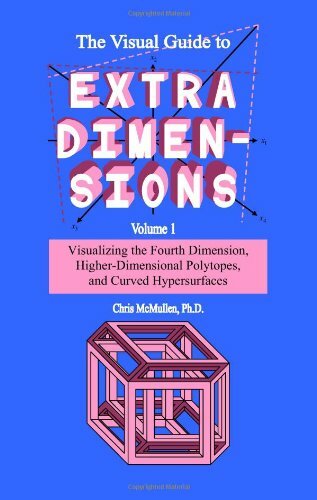 What Does A Historian Know About Dimensions? Until last night, I would have argued that this particular historian didn't have a clue about dimensions. At least in the sense meant by scientists and mathematicians. I would have afforded a wry smile in the direction of spirituality. But then I finally grasped the meaning behind that bizarre language used to convey such conceptions. That's when I realized it had all been downright commonplace, once you skip beyond the sums and random letters. However, my uncertainty with grappling under this foreign lexicon renders it imperative that I illustrate my understanding of the concepts, before I take them and run with full expertise. Get ready to mark me. Comprised of a single element of space. More a concept of space really, filling the bit between two dots. You have space and you could move about in it. You still have time too, but it's all very Zen. What's happening and where you are is all very much in the moment. In fact, moving about probably isn't all that worth it, as you're not going to remember much about it. This is beyond flat and featureless. Flat is a concept which only the top minds in First Dimension land could even guess at being. But, of course, they'll have forgotten about it an instant later. So probably not even they could get it. Think single cells and their world view. Another element of space is layered onto the first, allowing more travel opportunities. These chickens live in the second dimension, where it's all very flat. There's been another element of space added, which means that they get to move around a lot more, but their viewpoint is very restricted. For this mother chicken to get past her chick, she'd have to fly upwards. There's no bulk in space. She can't go around, as there's no dimension through which she could pass the egg. Nor could she actually extend her wings to fly. That too requires less flatness. None of the denizens of two dimensional world would even be able to see what's in the way. The very flatness means they're staring right at an edge - a line. In short, they're not much better off than the one dimensional line dudes. They've just got more directions in which to travel. Though time will still be happening very instantly. Much living in the moment would ensue. Three elements of space occupying the same spot afford us elbow room, and indeed the room in which to have elbows. Nothing that I could ever illustrate here could possibly demonstrate 3D better than whatever you're seeing the illustration on. It would merely be flat, two dimensional stuff with a bit of trickery attached to trick the eye. The third dimension is also space, but it bulks out in all directions. Now we can walk around hatched chicken eggs. We can see the chick. I don't have to explain three dimensional space. You're sitting in it. Though in order to perceive that the egg hatched - what was once an egg, and now may be a chick, and will grow into a chicken - we need to have pushed beyond the third dimension. We need to be viewing it through the lens of yet another layer. Now here's where it gets interesting for historians. Physics just added time. Now physicists get to throw the baton to historians, in order to make their squiggles and formulas meaningful. Above is an image which I created in GIMP, in order to illustrate a rant about a high speed railway cutting through a War of the Roses era battlefield. It doesn't come close to encompassing all that the fourth dimension gives us, but it provides a hint. The fourth element added is the dimension of time. As three dimensional beings, we can travel through the fourth dimension (and those beyond), but can only conceive of time in a very limited fashion. Just as the 2D folk only saw each other as an edge in the flatness, we can only view time as a straight line. We'll never see the scene pictured above in reality. The Welsh bowmen are long gone and buried, hence they'll never be there when the railway track is laid. Our linear movement through time allows us to see one or the other. Moreover, once we've missed our chance at viewing something in history, it's game over. We can easily travel through time. We've always been time travelers. But only in one direction, at a set speed, from birth to death. Unless, of course, you happen to be a historian. Then the fourth dimension is your playground. Moreover, you're actually viewing it from the fifth dimension, which adds a further element of space-time, though your body is still firmly trapped in the 3D. Above doesn't come close to what I, as a historian, see when I visit the Tower of London. But it's as near as I'm willing to spend time in GIMP recreating for you. The Tower of London has been there for nearly 1000 years. That's a lot of history to superimpose upon the same scene. Not to mention the things which occurred on that spot before the fortress was even built. Market goers mingling in 1808. Every single element is superimposed upon the exact space they occupied in the images capturing them there by past artists and photographers. Though I've turned the White Tower 90 degrees, as my Medieval artist was standing alongside the Thames, not on Tower Hill. Only my lack of artist know-how stopped me filling every pixel of this with a different era. My mind does it easily and automatically. I can see the foreground trees gone, opening up the vista as it is today. I can see that whole foreground thronging with people, and a platform raised in the bottom left hand corner. I see the executioner holding up the heads of Simon Fraser (it's been described in detail); James Duke of Monmouth (detailed documentation and a woodcut picture); Sir Thomas More and so on. I see it churned up with mud and horses laden dragging stone, people bent double under their loads of wood or walking with their tools in canvas sacks slung over their shoulders. The construction workers of a dozen eras creating this castle from scratch, altering it, restoring it, adding extra layers. I stand with market stall owners and their customers, glancing up towards the ramparts at the sound of childish laughter. I watch the Princes in the Tower playing upon them in full view. I mentally flinch in terror at the Blitz bombs falling all about me. I squint to watch the Cradle Tower, just about able to discern John Arden and Father John Gerard shimmying down a rope to freedom in the darkness. I turn at the sound of women's voices, loud and light in conversation. Across that great walkway they come, the guards stepping back, unwittingly allowing William Maxwell, Earl of Nithsdale, to pass in their midst dressed as his wife. Lady Nithsdale is still in there, holding an imaginary conversation with her spouse behind closed doors for the benefit of the guards in earshot. Lady Nithsdale has not yet been born. Lady Nithsdale is long since dead. 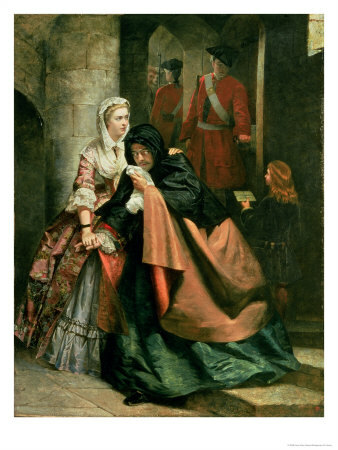 Lady Nithsdale is just emerging as a lone figure, looking tearful as befits a woman who's just said goodbye to her husband for the last time. Lady Nithsdale is already gone to Rome. She's in Scotland. She's the destiny of a single cell organism drifting in the primal waters upon this spot. She's the daydream of a novelist come to view the scene and imagine being her. She's the focus of the Beefeater's telling of the story to a gaggle of tourists. She's gone, here and yet to be simultaneously. And behind her, there's a sickening thud as Gruffydd ap Llywelyn Fawr, Prince of Gwynedd, falls to his death from the White Tower. A sight last seen from the third and fourth dimensions 472 years previously, then lost to the linear progression of time. In the historian's world-view now because we get the overview of the fourth dimension. A feat only possible by mentally adding another element - space-time - thus entering a fifth dimension. Winifred Nithsdale helped her husband escape the Tower of London in 1716. In all your knowledge of reality and common sense, where is she now? If only we could drag our third dimension bodies to where our minds view the world, we'd have time travel. Any pleb can view history in the fourth dimension. It's how humanity currently perceives time in reality. We're born, live our lives second by second, then die. At no point do we get to fast forward beyond the painful bits, nor pause reality to gaze upon a freeze-framed second, and we certainly don't get to rewind and relive scenes that have gone. That's the price of being matter living in four dimensions (three elements of space and one of time). For those trapped in this worldview, the past is memory and the future is a promise. We can predict the latter to a limited degree, based on probability, precedent and patterns, but it's mostly an amorphous mass of potential outcomes. That linear aspect to time renders it way too tempting to see history as a series of train carriages upon a single railway track. We can study the Tudors in British history without heeding the Plantagenet world before that, nor the Normans, the Anglo-Saxons and Jutes, Vikings and Romans. We can dismiss the Britons living through it all, and before any of them arrived. The populations invaded by the British, and assimilated into their bloodline and culture, seem so distant as to be utterly irrelevant. No stage touches upon another, except where the crossover occurs. As for the end, the Tudor period gets a line drawn under it upon the death of Elizabeth I. Then stops utterly. There's no influence upon the Stuarts which followed. There's certainly no trace of it within the present day. 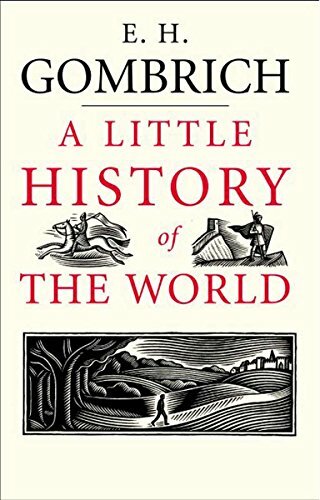 But that's only history as it tends to be presented to school children (or indeed Wizzley authors and their readers - our categorization produces such a veneer). It's not a historian's world view. Historians travel throughout time and space like the academic equivalent of Dr Who. We pull sparks from the 12th century to explain the 17th. We point out progressions of events, highlighted in flashpoints, as the consequences of each play out then continue. There are no conclusions; no point at which the story is finally told. The ripples extend in all directions - past, present and future are only the primary ones - hence all history becomes 'too soon to tell' regarding long-term effects upon our world. While a single strand of consequence impacts the here and now, then the historical moment igniting it can be said to be occurring as we speak. As can every instant - action, thought, decision, fashion, fad, enforcement via law - which added its own flavor along the way. Look up at the stars. Their light has traveled across such a distance that you're viewing history in the present day. You can be sure that future generations will view the same stars. All time layered upon one spot. Billions of years ago, a lump of rock merrily rode around the galaxy in our planet's orbit. It continued to do so for an incomprehensible number of years. Then one day another lump of rock collided with it, perhaps only with a glancing blow, enough to change our rock's orbit to the minutest degree. Millions more years passed, each epoch gradually exacerbating that teeny orbit change bit by bit, until it became quite a substantial one. 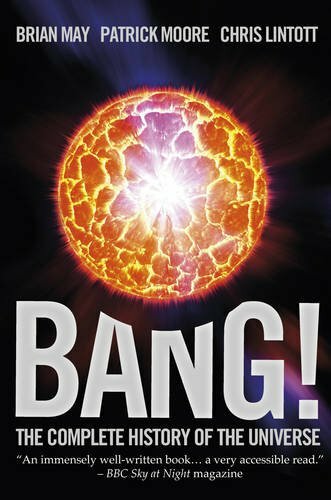 Next thing you know BAM!, there's a planet in the way and our lump of rock smacked right into it. 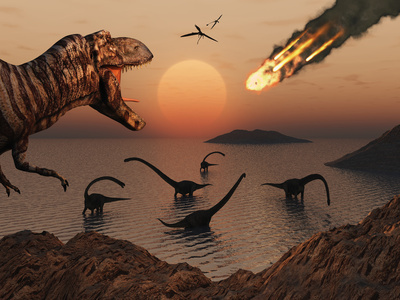 That meteor wiped out the dinosaurs, eventually allowing humanity to dominate the world. There's probably a star up in the night sky, which cast its light at roughly the same time as that meteor hit. We're only just seeing it on Earth. It's now. Consider that star's overview. Contemplate our view of that star. Look around you at the real and extremely present consequences of a glancing blow between two rocks in space. This is as close as any of us will get to perceiving the fifth dimension. That's the universe within a historian's world view. We see each glancing blow, and how many orbits change accordingly; we trace what patterns were thus created; we follow the consequences into every major impact and beyond. All from an overview where everything is occurring simultaneously, layered in time and space. We see history in the fourth dimension through the prism of the fifth. That is what a historian does. It's always now. 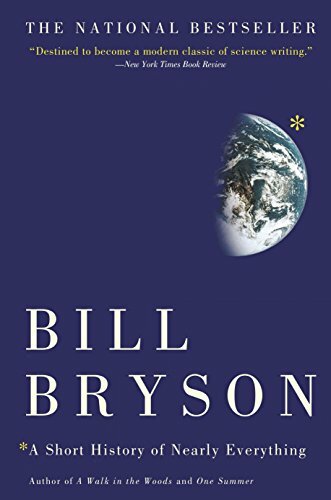 I absolutely recommend Bill Bryson's 'A Short History of Nearly Everything' with an enthusiasm bordering upon bouncing up and down. Who Won the Battle of Bannockburn? And What Did they Win? The popular response would be Robert the Bruce and Scottish independence. As the 700th anniversary approaches, we can take a much wider view than that. Between 1845-1851, the British attempted a genocide of the Irish by starvation. It's a mistake to think that it's over now. The on-going effects are still felt globally. On June 8th 2013, it was the 100th anniversary of the death of Emily Wilding Davison. She made the decision to become a martyr for Women's Right to Vote. Locating in time is very important to understanding of history. And what happen as time passes is also interesting. Glad to have been informative! Welcome to my world. As far as I'm concerned, I didn't describe Physics. I described a historians' world-view, after grasping enough of Physics to realise that the two were in sync. 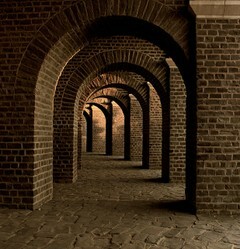 Historians describe the what; Mathematicians and Physicists explain the how - and it all looks very much the same. I very nearly went into the interactivity element of the fifth dimension, but figured I was going off piste a bit. That's a whole new article. I did contemplate the extent to which those living history and those studying it may enjoy a symbiotic relationship. It's more than you'd immediately imagine, given that we're not necessary in the same time frame. I have to say I'm still amazed by this article. Especially after reading the XKCD explanation of dimensions and time as a dimension itself last night, simply because he is a renowned mathematician well known for being able to explain difficult and complex mathematical ideas in fun and understandable ways...And I honestly, without a whole lot of bias influencing me saying this, feel you did a better job of explaining it (from a perspective) here. I say from a perspective, but I still got a broad understanding of time as a dimension. The perspective being history (duh). But it's kind of what I was getting at, you just taught me physics from the perspective of history, and I'm really fascinated by it. I got further idea from the XKCD comic when he explained looking at a 5D world from the perspective of a comic strip, and then said how a 5D being could manipulate that by "touching" the panel...but you weren't talking about being an actual 5D being, you were talking about viewing history from a 5D perspective so this bit wouldn't come into play in this article. Yep! Loving your work there. I have images of A Sound of Thunder by Ray Bradbury running through my head. Something to do with dimensions and space-time continuum, I guess. Maths is history anyway. Without history, the mathematicians would have to keep on inventing zero over and over again, as no ancient Arabs would have done it for them. Plus they'd have to work out how to count, as Urnfield etc wouldn't be there as the basis upon which to create numeric systems. Not to mention that removing the Sumerians means that we'd have to invent writing before any of these figures and formulas could even be recorded. As all of the above was pretty much born of trade - merchants making things more efficient in pursuit of profit - mathematicians could save time by selling stuff first. Their entire discipline would need that background to be invented anew each morning. Mind you, history is maths. I wouldn't have any time to measure, if they hadn't given me a way to count the years, even as I stack all such occurrences one on top of the other. Nor could I effectively determine the odds stacked against Wallace at Stirling Bridge without knowing the size of the armies; nor gauge the sheer scale of the global catastrophe during the late 1340s. The latter needed Biology to provide the why of the Black Death. History took the data, filled in the stories and handed it back. Biology's knowledge base swelled with all that we could provide in relation to what people did in the face of plague; how they reacted; what measures they undertook to combat it; how they fled, stayed, fought, died, lived and all else that might affect the spread of disease, or curtail it. Sociology took the data too, and handed it back with patterns highlighted. Psychology gave us a different angle, we returned it with more data. So much seen and entwined, when viewed from the fifth dimension. It's all the same story. Well, I've never said history has no purpose, nor even implied it. I personally think it's one of the most important subjects. In my UG no matter what your major was you took at least one history class relevant to it (on top of the required gen ed histories). Eg maths folks took a history of math course, I took history and philosophy of science, music majors had a history of music class and so on. Anyways, physics is applied maths. So if you're fine with physics, you're fine with maths. I don't have to know history as well as you do or be good at it to appreciate it and it's value. It could be the same with maths for you, and I think it technically is, you're just being silly. Also you said physics is just a mix of matter, energy, atoms and so on, but that's actually a mix of applied physics, or chemistry, and applied chemistry, or biology. At the point those atoms became an organic being in your mind, we're now technically talking biology. You start branching out from there into sociology and psychology being applications of biology, but to my mind those fields were where the polar opposites of sciences and humanities actually met. 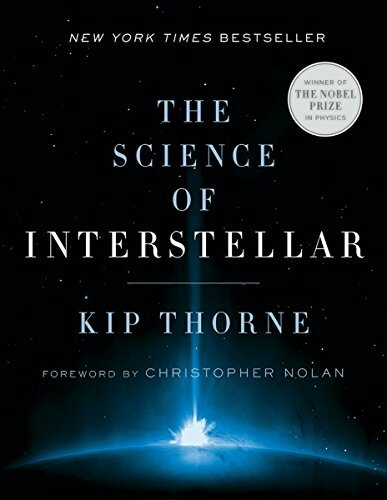 Based on the way you understand sciences connecting to history, to me is like connecting the humanities at the other end of the sciences then as well, bringing it full circle. (Well this whole article is a meshing of humanities and sciences, which itself was fascinating). I think people have strengths in different fields, and they do have value, and I think it'd be boring otherwise if we didn't anyways. I think where we go wrong is basically this compulsion to place an unfair value on those with mathematically analytical minds as some sort of golden goal post of intellect. I find it just plain foolish. Frank - I've been used to considering the fifth dimension though a spiritual interpretation too. Physics abandoned the concept to the spiritual disciplines for 70 years, before picking it up and running with the theory again. I have no idea what the mathematicians are waffling on about. But I do understand the Tree of Life and its ten branches of reality, which looks exactly like the ten dimensions sitting at the end of mathematical sums. Historian hat off and Wiccan hat on, there are many, many more dimensions than are met in scientific philosophies. But Quantum Physics is pretty much Wicca with one or two words changed here and there. It's all the same eventually. Physics is fine, that can come and play. Physics is history anyway, just focusing upon the ingredients allowing the recipes to be mixed. Take Henry Tudor sitting upon his throne for the first time. Historians would be interested in who he was, how he got there, what jumble of circumstances met at this point, why he gathered support, how he maintained it and what it meant historically, contemporaneously and so far in his future, then beyond us into what it means for our future. Physics would just be looking at the mix of matter, energy, atoms etc which can now be labelled Henry Tudor, ditto his throne and crown, and why he said crown didn't shoot out of the hands of the archbishop, as it was placed on Tudor's head. But they'd only know the latter because history taught them (ohai Newton). They'd only know why they know that because history built upon it (enter Einstein). Without history, Physicists would have to discover gravity and relativity anew every day. And Britain would have been so much better off if Henry Tudor hadn't had mathematics. He ran the country like a Mafia don because of those accounting books.